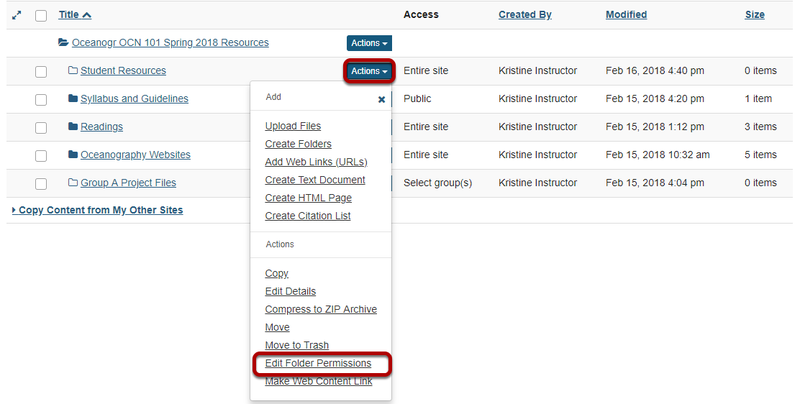 Sakai Guides and DocumentationSakai Basics Resources ToolHow do I allow all students to upload content to a selected folder? Zoom: Click Actions, then Edit Folder Permissions. Zoom: Modify student permissions, then Save. Zoom: Students may now upload and edit items within the folder.